Adrian is the team leader and oversees the strategy of the Association. In particular he serves the churches in the Black Country and has responsibility for settlement of ministers and churches across the Association. Adrian worked for NatWest for 9 years before entering ministry and over 20 years he pastored two churches in Lancashire (Leyland and Kay Street, Rawtenstall) before moving to HEBA as Regional Minister in 2007. He was made team leader in 2014. Adrian is married to Pam who worked for Operational Mobilisation for 8 years as well as being trained as a teacher. They have four children and three grandchildren. Adrian hopes to bring 'encouragement, challenge, stimulus, passion, God’s Word and a listening ear to fellow ministers and church congregations' and he desires to see strong healthy churches. His other interests are mainly in the sporting arena - table tennis and golf top the bill! Alison serves the churches in Herefordshire, Shropshire and Worcestershire. She has particular responsibility for the Small Churches Network, Newly Accredited Ministers Mentoring program, and is the Association Representative on the West Midlands Joint Public Issues Committee. Alison studied at Regents Park College Oxford and is now part of her old College Council. Following pastorates in Elstree and Leytonstone Alison moved to live in Worcestershire in January 2015, and enjoys life down by the river Severn. Alison is a mum to Amy, Robert and Esther who she left behind in London because they are all old enough to fend for themselves these days. Alison enjoys being creative, baking, sewing, writing, wasting time on facebook, shopping, walking, being with good friends – but her real passion is Snoopy! Born and raised on the Island of Guernsey, Neil was first a teacher and then retrained as an accountant, working in the world of offshore trust and corporate management. Following his call into ministry, he moved with his wife and daughter to London in order to train at Spurgeon’s College. He has served as minister of a church in S.E. London, and as Pastoral Team Leader of Sutton Coldfield Baptist Church. Neil serves as Regional Minister of the churches of South Birmingham, Solihull, Coventry & Warwickshire. To relax, Neil enjoys hill-walking, reading, fishing, golf and D.I.Y. Born in Wolverhampton, David’s parents came to England from Jamaica and they are his heroes; he is incredibly proud to have a Jamaican heritage and to be a Wulfrunian. 35 years ago, he gave his life to the Lord on a youth weekend and he’s never looked back. He and Vivienne met at London Bible College, have been married for over 30 years and have three beautiful grown up children and one granddaughter. Before becoming a Regional Minister, David had been a Pastor for 24 years in two amazing churches, Totterdown in Bristol and Small Heath Baptist Church, where he has seen many miracles, great and small. 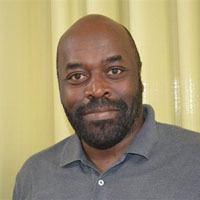 Whilst in Bristol, he was the chairperson of Keyboard Racial Justice Project for six years, and he has served as Chairperson, Secretary and Treasurer of a number of local Birmingham community forums and Director of a variety of charities. He has served the Baptist family as a member of the Baptist Steering Group and Baptist Union Council. David believes his main role as a Regional Minister is to encourage and support churches and pastors to grow healthy churches, primarily in his groups - North Birmingham and Staffordshire. David loves laughing with his family – it’s how he relaxes, alongside going fishing on his days off. He loves playing music and writing songs, is a qualified Cricket Umpire and he reads James Patterson every other book. David is married to Irene and they have three children Ruth, Paul and Emma. He worked for Lloyds TSB for 38 years before taking early retirement. David became a Christian whilst in The Boys' Brigade when he was seventeen He believes God has given him the ability to work with finance and in addition to being the church treasurer at Tamworth Baptist Church he works three days a week for HEBA. David enjoys walking – he and Irene once walked right across England (190 miles). He also enjoys exploring his family history and has accumulated some very interesting photos! Lesley grew up in Netherton and attended Messiah Baptist Church until it was demolished in 1975. She is currently in membership at Halesowen Baptist Church where she is a Deacon and Secretary. She has been married to Keith for nearly 40 years they have an adult daughter, Victoria. 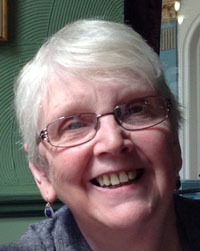 Lesley has worked for the Association since 1999. Her role includes administering the Ministry Recognition Group, of which she is Secretary, and organising the Ministers Conference. Les enjoys cooking, reading and visiting National Trust properties. Karen was born in Guyana, coming to the UK as a small child. She is the Administrator and Company Secretary of HEBA having joined the staff of the Association as Secretary/PA in 1989. Prior to that she worked in the voluntary sector (housing, care of offenders and those at risk of offending) after graduating from the University of London. She has served as trustee of a variety of charities including an arts charity and an eco-activity centre, and as a School Governor. She currently serves Chair of Governors of the Northern Baptist College, Chair of Directors of the Baptist Union Corporation and is a Director of the Baptist Holiday Fellowship. She is a member of Highgate Baptist Church, Birmingham. Sonia is our part-time Administrative Assistant for Safeguarding. A Lancashire Lass, mother of 5 with 10 grandchildren (at the last count!) and now semi-retired – but not ready to put my feet up for a long time… she writes - I have had a fascinating journey: in teaching, then joined BMS World Mission in 1985 working in Brazil and, Sri Lanka in Church planting and theological education, on to home staff as Manager for Mission Training at IMC (2000- 2006). After over 20 years with BMS I moved to London School of Theology as Director of Training and a part-time Chaplain at Heathrow Airport with Home Mission. Latterly, with my husband David in joint ministry at a small independent Chapel in Stoke Row, South Oxfordshire. Part of my personal ministry now is as an artist. I exhibit and sell my work as well as teach small groups under my label 'Creative Spirit'. I am also available for preaching some Sundays! Divine was born and raised in a Christian family with origins in the Democratic Republic of Congo. Her 16 years living in Britain include periods in education and raising her family. 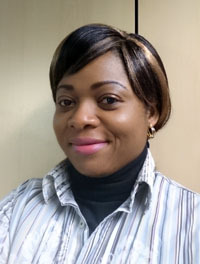 She is an Association Accounting Technician [AAT] and holds a Business Enterprise BA [Hons] degree, though her professional career was halted when she became a mother of three children. Before joining HEBA as Bookkeeper/Accountant/Administrator, Divine worked for British Heart Foundation, Thornton’s and FLT Training. 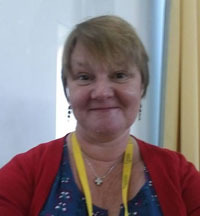 She is in membership at George Road Baptist Church, Erdington, where she serves as assistant to the Treasurer, supporting the church with bookkeeping, accounting and administration. Divine is delighted to join the HEBA team and will do her best to help the Association and churches to the best of her abilities. She enjoys travelling, shopping, listening to gospel music and socialising.